Middleton01553 763044work VillageMiddleton lies on the A47 around 3 miles east of King’s Lynn. The village extends north and south of the main road extending to Fair Green in the northern part of the village and Blackborough End in the southern end of the village. At the centre of the village is the village hall, post office, and pub/restaurant Middleton’s. The Gate Inn is in the Fair Green part of the village. 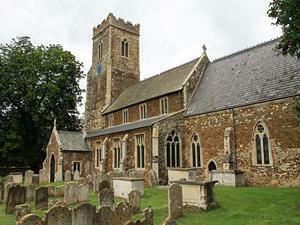 The village church, Saint Mary's has 14th century foundations, but was mainly restored in the 19th century. Middleton lies on the A47 around 3 miles east of King’s Lynn. The village extends north and south of the main road extending to Fair Green in the northern part of the village and Blackborough End in the southern end of the village. Middleton Mount is a mound upon which a castle keep once stood as is typical of some of the lesser castle remains throughout Norfolk from the 11th and 12th century. The castle was founded by William d’Ecouis and was a motte and bailey fortress which was thought to be constructed from timber.